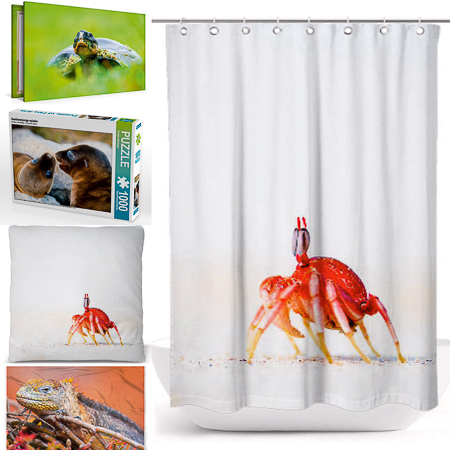 Canvas, puzzles, cushions, tablecloths and shower curtains. Wall calendar published by Calved Verlag. IBERIAN NATURE: Four seasons of life. Collaboration, with two photographs, in the book "IBERIAN NATURE: Four seasons of life", published by AEFONA (Spanish Association of Nature Photographers). December 2016. 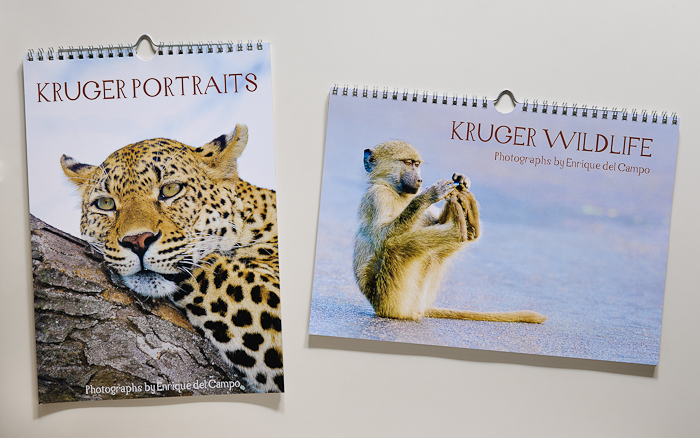 Wall calendars published by Calvendo Verlag. 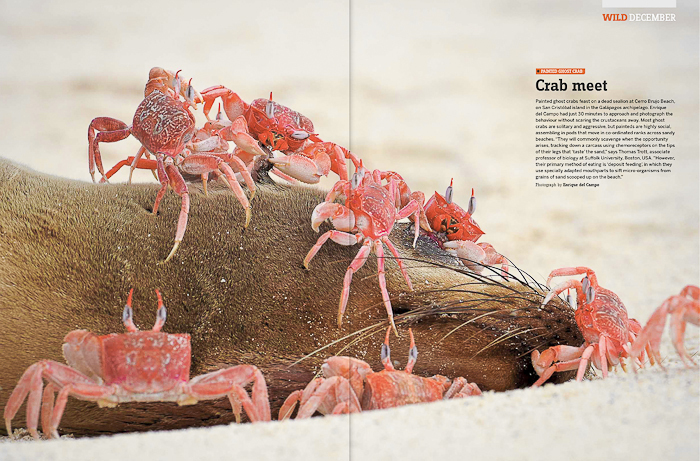 Photography published to double page in the british magazine BBC WILDLIFE Vol.32 Nº13. GALAPAGOS ISLANDS, BORN OF THE FIRE. 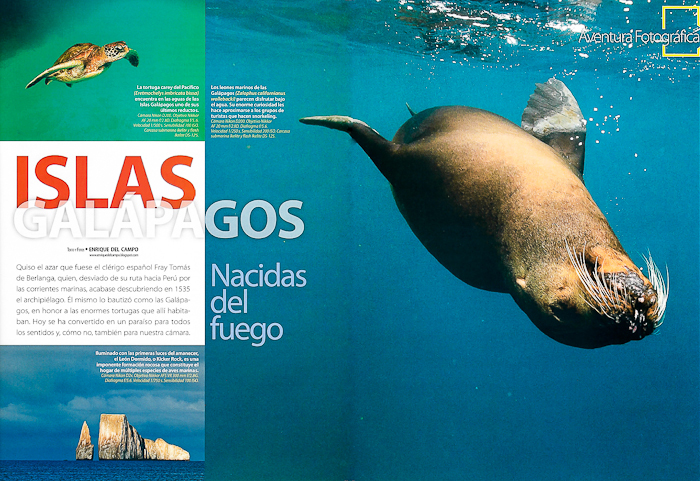 Reportage "Galapagos islands, born of the fire", text and photos, published in SUPER FOTO NATURALEZA magazine #7, June 2011. 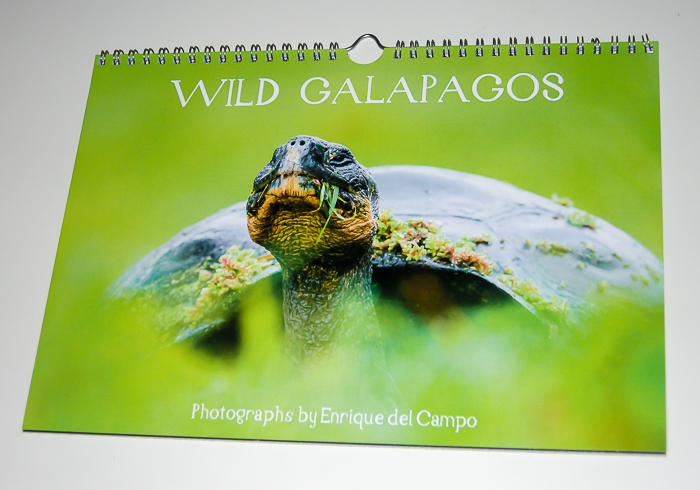 GALAPAGOS ISLANDS, THE NOE'S ARK. 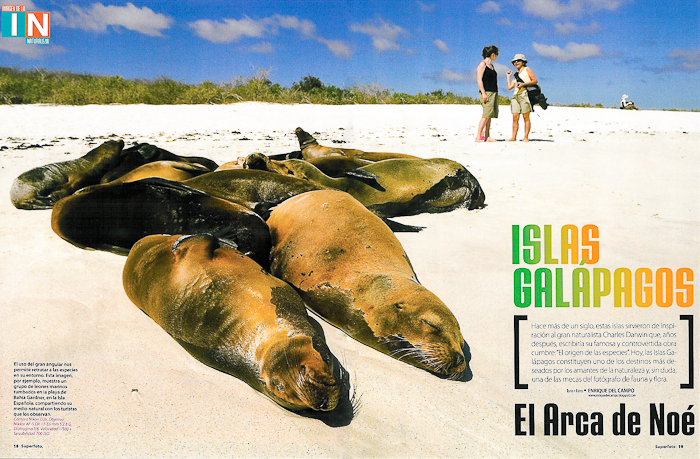 Reportage "Galapagos Islands, the Noe's Ark", text and photos, published in SUPER FOTO DIGITAL magazine #175, August 2010. 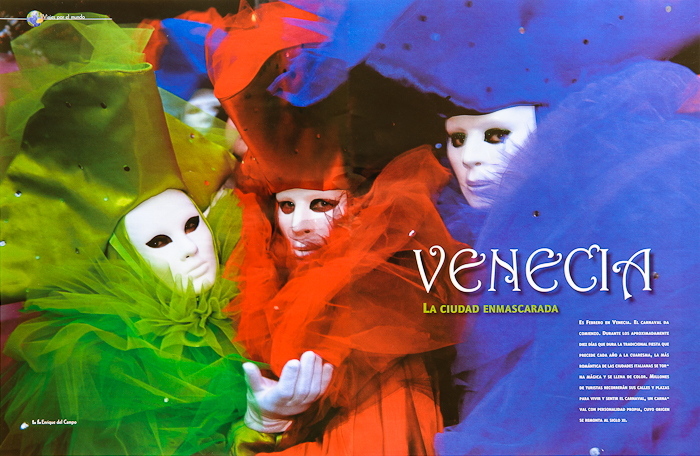 Reportage "Venice, the masked city", text and photos, published in the EUSKAL HERRIA magazine #38, February 2009. 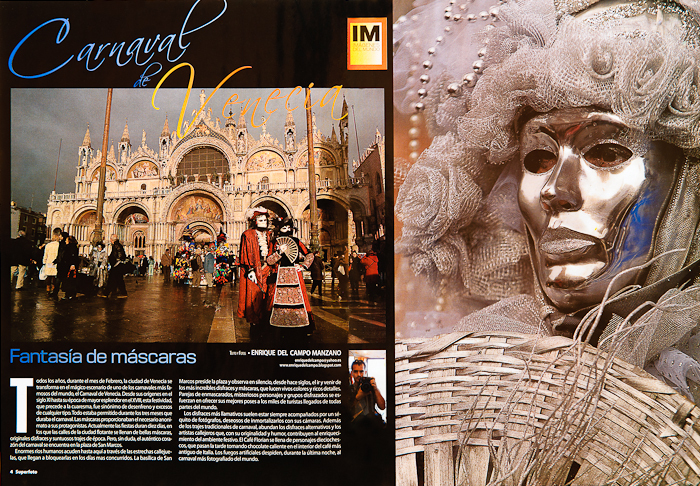 Reportage "Carnival of Venice, fantasy of masks", text and photos, published in the SUPER FOTO PRACTICA magazine #157, February 2009. THE EDINBURGH SUMMER FESTIVAL, FRINGE. 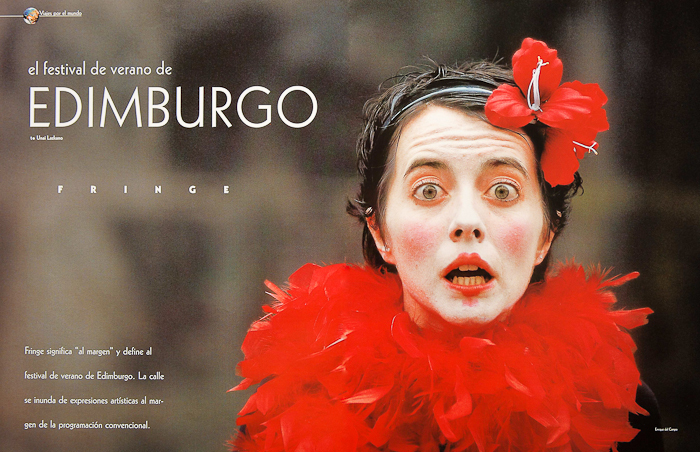 Photographic reportage "The Edinburgh summer festival, Fringe", published in the EUSKAL HERRIA magazine #5, August 2003. EDINBURGH, SECRETS OF A LEGENDARY CITY. 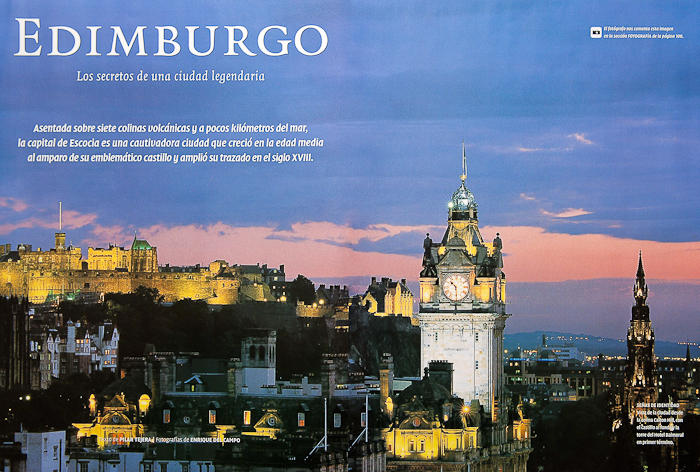 Photographic reportage "Edinburgh, secrets of a legendary city", published in the DESCUBRIR magazine #55, April 2003. 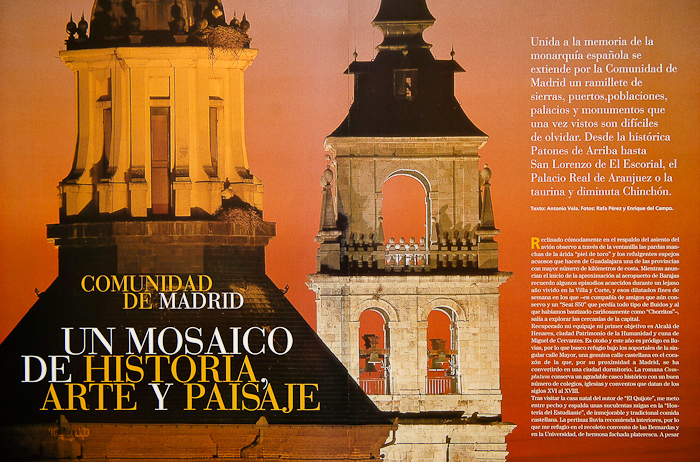 COMUNITY OF MADRID, A MOSAIC OF HISTORY, ART AND LANDSCAPE. 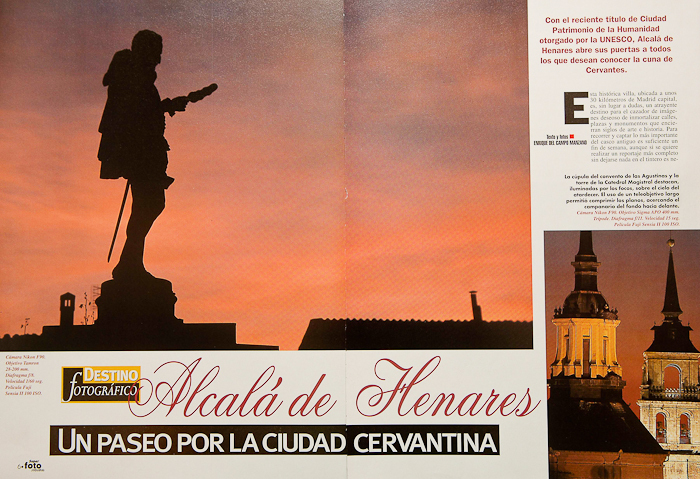 Photographies of Alcala de Henares published in the reportage "Community of Madrid, a mosaic of history, art and landscape" in RUTAS DEL MUNDO magazine #147, March 2003. EDIMBURGH FESTIVAL, THE LATIDE OF A CITY. 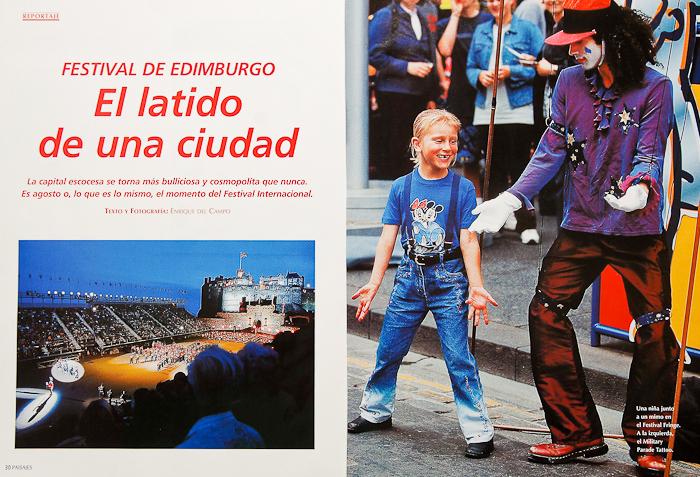 Reportage "Edinburgh Festival, the beating of a city", text and images, published in PAISAJES DESDE EL TREN magazine #142, August 2002. ALCALA DE HENARES, A WALK ALONG THE CERVANTINE CITY. Reportage "Alcala de Henares, a walk along the Cervantine city", text and photographies, published in SUPER FOTO PRACTICA magazine #56, September 2000.